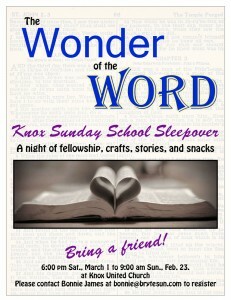 Please be reminded that the Sunday School Sleepover will take place this weekend. 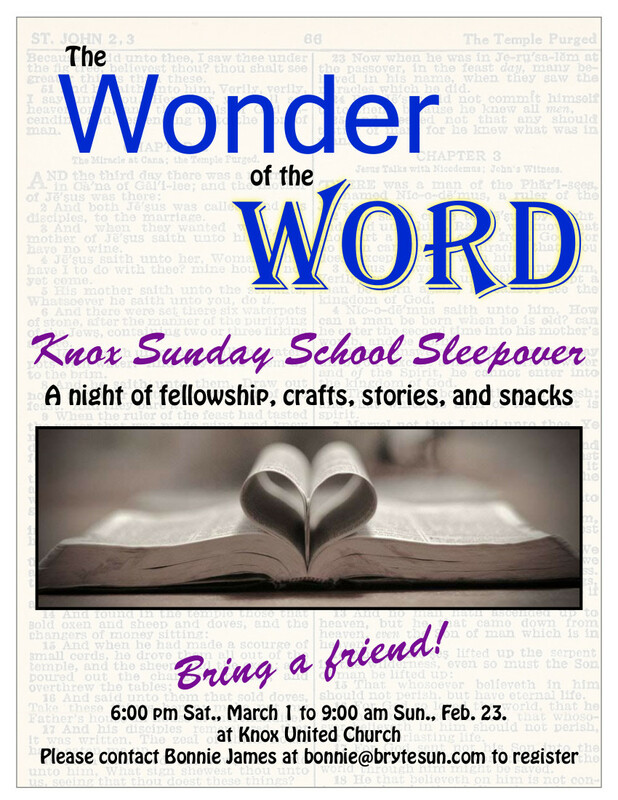 Drop off is at 6 pm Saturday evening (March 1). Please let Bonnie know if you’re coming.